Academic instruction, including quality instruction and interventions are most important to our success. We have shown much progress in many areas, but have not fully met state targets in all academic areas. We are working hard to ensure that we increase the level of student supports and interventions offered in our schools. We will continue to offer classroom intervention strategies and support services for all students who need them. We are excited however, to report one of the highest graduation rates in last five years. Our high school has moved from a 50% graduation rate in 2012 to 81% this past school year. Also, In partnership with Albany Technical College, our RCHS Move on When Ready Program has added the Certified Nursing Assistant (CNA) program and Automotive Climate Control classes to the existing curriculum of: Culinary Arts, Law Enforcement and Early Childhood Education. In the area of Professional Growth and Development, our teachers and other staff members have been working very hard. Throughout the summer, many of our educators have been involved in a variety of workshops and professional development. What teachers know and do, directly impacts what students learn. If we are to improve the quality of instruction in our schools, we must invest in the learning of teachers. Our schools will continue the professional learning journey throughout the year attending activities planned by RESA, the Georgia Department of Education and others professional organizations. Stakeholder Involvement is also very important to the success of Randolph County School System. We have increased our collaborative efforts with parents, community organizations, local government and civic organizations, as well as local colleges and technical schools. Our goal is to communicate even more with parents, community members and stakeholders to ensure that the school-community relationship is strong and lasting. Each school’s Local School Governance Team will help sustain this strong collaboration. We are very thankful for our stakeholders being supportive of our efforts. Having Safe and Orderly Schools is also a top priority for the district. We have put measures in place in each of our school buildings to help make this possible. 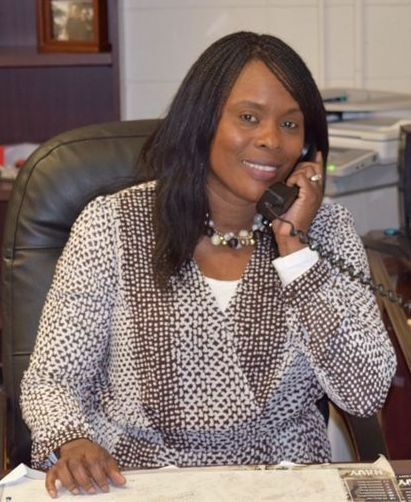 All three schools now have assistant principals, which will help ensure that both instruction and behavior are adequately addressed and monitored. All schools have been trained in Positive Behavioral Interventions and Supports (PBIS) and will move to full implementation this school year. The goal of this program is to help schools create effective learning environments through improving the school climate. One of the main components of this program is a proactive and preventative approach to discipline. As far as Operational Services are concerned, the district has initiated several beautification projects, including landscaping and painting the district office and school buildings. Many staff members have been working extremely hard over the summer to give the school grounds and BOE a “Facelift”! We are also looking at our dated heating/cooling and water systems to ensure that we offset future problems. We still have much work to do, but we are off to a great start. Together, with the vision and support of the Randolph County Board of Education, parents, community members, staff and students, we can and will provide our children with every opportunity to be successful. It’s more important than ever that we work collaboratively toward our common goal of Improving Student Achievement. Let’s make it a Great Year!! !